Company History | TOHO KOKI Co., Ltd.
Company History | "HIT", it is the brand approved in the world. 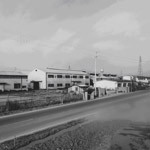 Introduces history of the TOHO KOKI Co., Ltd.
First president Seiichi Kawakami established machine parts manufacturing company named Kawakami Works, Co., Ltd. at Minato-ku, Osaka-shi. Forged Adjustable Angle Wrenches, Pipe Wrenches, and Spanners were started manufacturing. 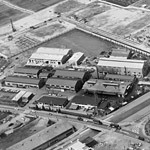 The factory was moved to Hirano-ku Kami, Osaka-shi. 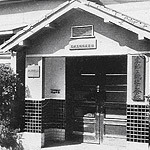 The company name was renamed with Toho Koki Co., Ltd., and it was inaugurated as specialized hand tools maker. 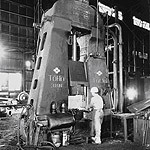 Toho forged steel Co., Ltd. was established as forged tools and munitions forged articles manufacturing company. 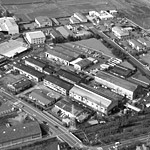 The production organization was changed to hand tools mainly. Toho Koki Co., Ltd. did takeover Toho Forged Steel Co., Ltd.
Adjustable Angle Wrenches had JIS (Japanese Industrial Standard) approval. Osaka International Trade and Industry Bureau chief commended as Adjustable Angle Wrenches' superior factory. Special alloy steel (Cr steel) was adopted as the material for Adjustable Angle Wrenches. Pipe Wrenches had JIS (Japanese Industrial Standard) approval. High Efficiency Forging Reduce Roll was introduced from U.S.A. for factory facilities modernization and increasing efficiency. First president Mr. Seiichi Kawakami was awarded by Japanese government as the result of improving the quality of domestic hand tools. Spanner had JIS (Japanese Industrial Standard) approval. HIT hand tools were started exporting and comes to be used regularly in more than 50 countries. Bolt Cutters and Ring Spanners had JIS (Japanese Industrial Standard) approval. NEAC-100 computer system was started operating. Bolt Cutters' exclusive line was started operating. Toho Koki Co., Ltd. did takeover Toho Tanko Co., Ltd. and moved factory to Nara Prefecture. Aluminum forging was started, and Light Weight Aluminum Pipe Wrenches were developed. Exclusive tools for cutting Rod for Boring Construction was developed. Pipe Wrenches for pipes coated with vinyl were developed according to marketing request. Headquarters moved to Nara Prefecture for the consistent organization from forgings to completed product. Automatic Heater 520 KW for heating forgings was started operating. Adjustable Angle Wrenches and Pipe Wrenches had JIS (Japanese Industrial Standard) re-approval according to change address of headquarters. Bolt Cutters had JIS (Japanese Industrial Standard) re-approval. Mr. Heihachiro Kawakami became president. Bolt Cutters new manufacturing line was started. Computerization for molding was started. Spanners and Ring Spanners had JIS (Japanese Industrial Standard) re-approval according to change address of headquarters. First Participation for IHF Practical World in Koln, Germany was done and continued every year. New manufacturing line for Pipe Wrenches was started. Professional cutting rod hand tools for boring construction have developed and been on series products. Automatic heater 1,200 Kw was started operating. ISO14001 was acquired through JQA. First participation for IHF Practical World in Shanghai, China was done, and developed Chinese market. Participation for IHF Practical World in Shanghai, China was done spring and autumn. ISO9001 was acquired through JQA.